The start of the twentieth century ushered in an unprecedented cultural renaissance in the Russian Empire. Artistic life became filled with programmatic exhibitions and impassioned manifestos combining the influence of foreign avant-garde trends with genuine features of Russian culture. This exceptional occurrence differed from the other art movements that emerged around the time in Europe in one aspect: the participation of women in the so-called Russian avant-garde. Not only were a very large number involved, but they played an extremely active and significant role. 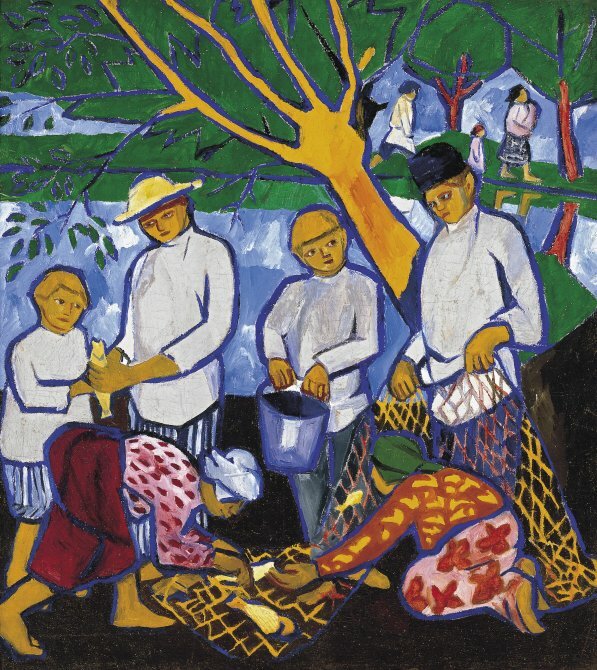 Goncharova, Exter, Delaunay, Popova, Rozanova, Udaltsova and Stepanova were raised and trained in a regime that clung to the values of the pre-industrial era. They nevertheless became pioneers in creating, disseminating and defending the new artistic languages that both fascinated and scandalised Russian (and European) turn-of-the-century society. Young, intelligent, free and rebellious, they did not form a group, though many of them knew and influenced each other. Their names are associated with the successive movements of the last years of tsarism in Russia (Neo-Primitivism, Cubo-Futurism, Rayonism and Suprematism) and their careers were already established by the time of the successful October Revolution in 1917. With their drive and determination, they not only succeeded in becoming part of the avant-garde on a fully equal footing but in many ways led it, marking an important milestone in art history. Natalia Goncharova can be considered the first female Russian avant-garde artist and one of the most prominent figures on the pre-First World War art scene in her country. Her solo exhibitions, performances and unconventional lifestyle made her the target of much criticism and fuelled the legend of a wild, indomitable artist. In her first works of the late 1900s, Goncharova combined an interest in European avant-garde movements with inspiration from Russian folklore and popular roots. 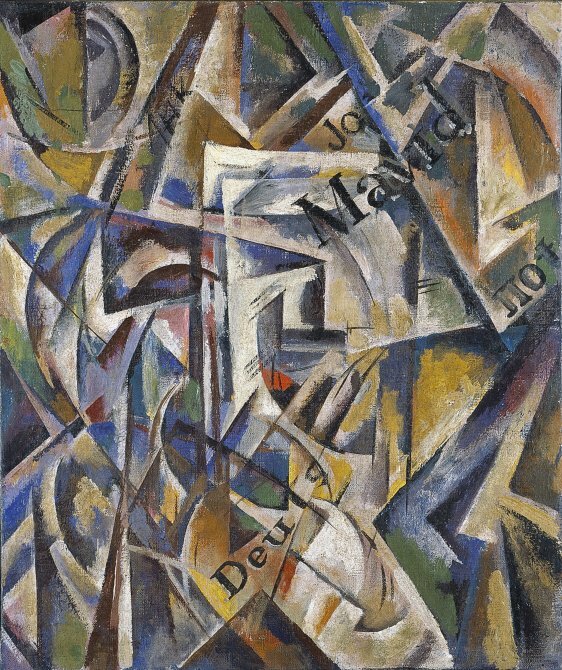 Following this initial Neo-Primitivist phase, in which her admiration for Gauguin and Matisse was apparent, she began to explore Cubism and Futurism and later developed Rayonism together with Mikhail Larionov. This movement, based on scientific theories of light, aimed to capture the action and refraction of light rays on objects. The artist travelled to Paris in 1914 to attend the première of the ballet Coq d’or. Her design for the set was the first of many she produced in conjunction with Larionov for Serge Diaghilev. Although the outbreak of the Great War in 1915 forced her to go back to Russia, a call from the Russian impresario led her and Larionov to join him in Switzerland. She would never return to her country again. More paintings of Natalia Goncharova: The Forest and Composition with Blue Rectangle. Alexandra Exter was a key figure in the connections between the Russian avant-garde and art trends then emerging in western Europe. Beginning in 1907, her early interest in the Parisian scene led her to spend long periods in the French capital, where she met Pablo Picasso and George Braque, among others. Fascinated by the possibilities of the new Cubist language, she immediately adopted it and became one of its leading advocates in Russia. Unlike her western counterparts, however, she decided not to shun colour, which she regarded as the be all and end all of painting. This concern was also linked to the importance the Russian avant-garde artists attached to their own cultural traditions – in Exter’s case Ukrainian. Contact with the Delaunays and the Italian Futurists spurred her to develop an interest in the introduction of movement and further strengthened her commitment to colour. When the Great War broke out, Exter returned to her country. She was attracted to the work of Kazimir Malevich and produced her first non-figurative works under his influence. During these years she began collaborating on theatre productions and in 1921 she became a fashion designer. In 1924 she emigrated to Paris, where she lived for the rest of her life. Olga Rozanova is held to be one of the most original women artists of the Russian avant-garde. Despite dying very young, she was a prominent figure on the art scene on account of her firm commitment to non-figurative art and her constant pursuit of new forms of expression. Rozanova’s beginnings were linked to Futurism, to which she was introduced by the poet Aleksei Kruchenykh, the inventor of the experimental language zaum. She not only collaborated on the design of many Futurist publications but began writing her own transrational poems. In parallel with these activities, Rozanova also painted her first Cubo-Futurist works in which colour was her chief concern. They were so innovative that Filippo Marinetti decided to include them in the First International Futurist Exhibition held in Rome in 1914. In 1915 she embraced Kazimir Malevich’s abstract art and contributed to the magazine Supremus, though no issues were published. However, she very soon created her own version of Suprematism and coined the concept of tsvetopis, which advocated the absolute power of colour. The works she produced before her unexpected death are the most radically abstract and seem to anticipate American Colour Field painting of the 1950s and 1960s. Nadezhda Udaltsova’s links to Cubism date back to November 1912, when she travelled to Paris with her friend Lyubov Popova. Together they attended classes taught by Jean Metzinger and Henri Le Fauconnier at the Académie de La Palette and from this point onwards the Cubist language became the basis for constructing her works. 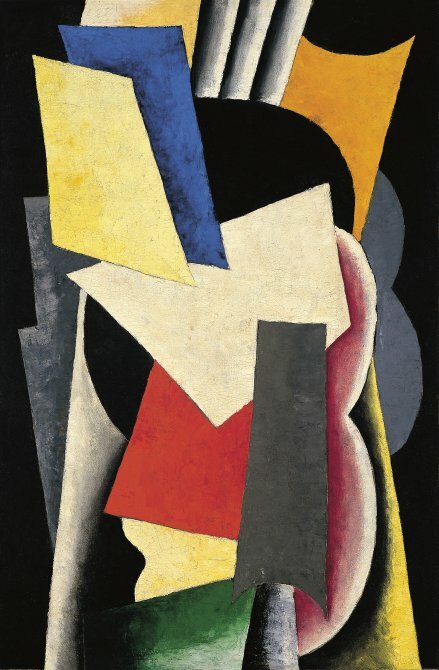 Even years later, when she joined the Supremus group and advocated non-objective art as the culmination of the path to new painting, her works continued to be more closely connected to Cubist art than to Suprematism strictly speaking. Following the October 1917 Revolution, Udaltsova played an active role in various cultural initiatives and taught classes. She was also a member of the State Institute of Artistic Culture (Inkhuk), though she abandoned it in 1921 over a disagreement with the Constructivist artists, who were calling for abandoning painting as an artistic practice. 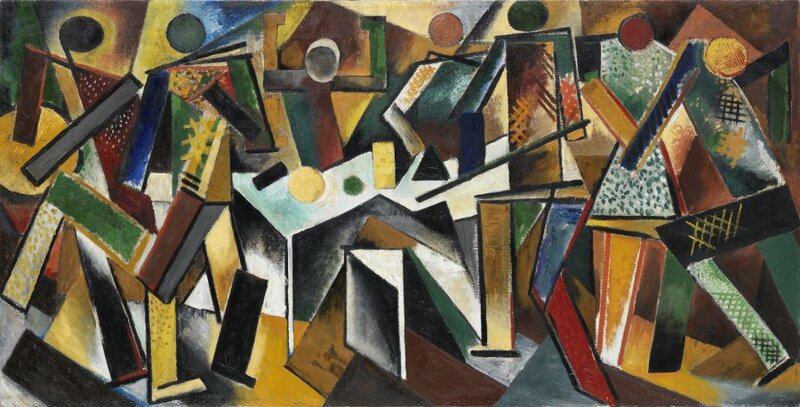 After returning to figuration in the early 1920s, with a style reminiscent of her Cubist origins, Udaltsova gradually progressed towards a more descriptive art in which she reflected her trips to the Urals and Armenia. 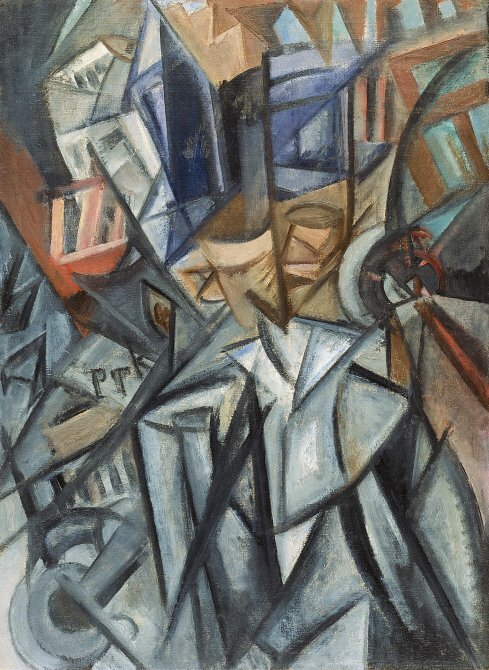 Lyubov Popova was one of the most prominent Russian avant-garde figures. Referred to as the ‘artist-constructor’ in the exhibition organised after her unexpected death in 1924, she was always notable for her interest in the constructional and structural elements of painting. 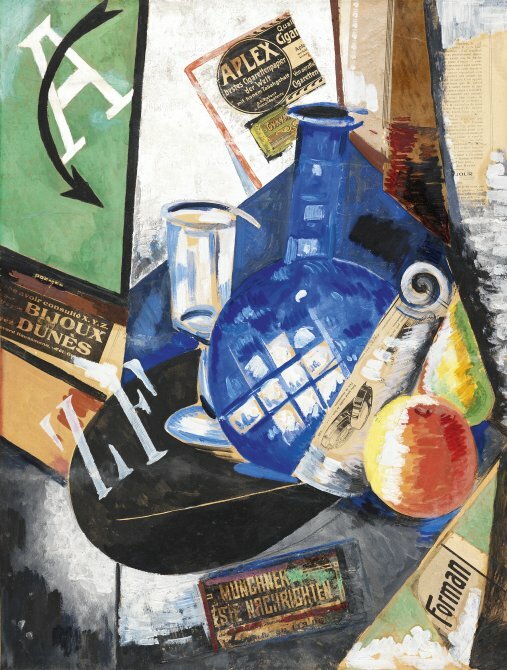 From a very early age Popova combined an interest in early Russian art with the influence of what she saw during the many family trips around Europe. Classical Italian art, especially the compositional foundations of the Renaissance style, left an indelible mark on her. She was also attracted to contemporary art trends and in 1912 she and her friend Udaltsova travelled to Paris, where she came into contact with Cubism. A subsequent stay in Italy allowed her to gain first-hand knowledge of Futurism, and she combined both languages in her works. Around 1916, she produced her first fully abstract works and went on to take part in debates on the validity of the non-objective language and the concepts of construction and composition. During those years her interest fluctuated between Suprematism and Constructivism, though she always retained her artistic independence. In 1921, along with other artists of the State Institute of Artistic Culture (Inkhuk), she gave up easel painting and embarked on an important career as a graphic, textile and theatre set designer. The poet Vladimir Mayakovski defined Varvara Stepanova as the ‘frenzied artist’ on account of her tireless pursuit of new artistic ideas. She relentlessly explored all the trends that emerged in Russia, from Symbolism, Neo-Primitivism and Cubo-Futurism to Constructivism and Socialist Realism. As the youngest of all the women pioneers, she admired the Futurist poets at the start of her career and wrote her first transrational poems in 1917. They became the basis for manuscript books in which, following Rozanova’s example, she combined text and abstract forms. 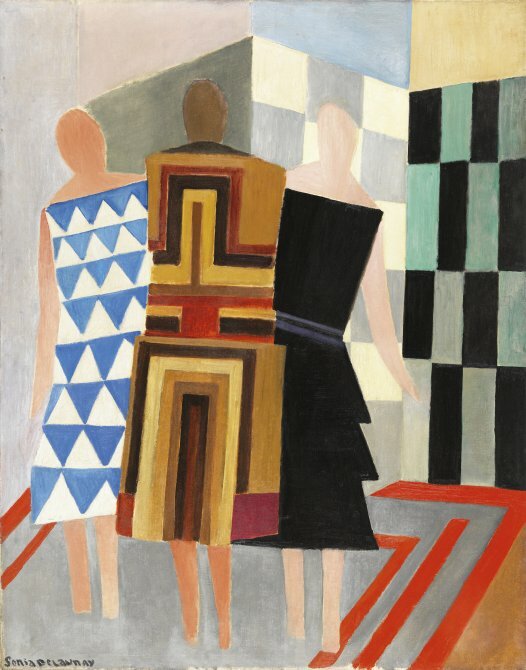 Although Sonia Delaunay spent most of her time in Paris, everything about her life and work seems to be connected with her Russian origins. Her uncompromising defence of colour, commitment to abstraction and interest in applying her artistic ideas to all kinds of everyday objects were very much in line with the aesthetic principles upheld by many of her fellow avant-garde artists in Russia, with whom she was in contact. Originally from Ukraine, the young Sonia Stern (later Terk) was adopted by her maternal aunt and uncle of St Petersburg when she was a child. In 1904 she left her country forever to study first in Karlsruhe and two years later in Paris. In the French capital she soon became a key figure on the avant-garde scene thanks to Simultanism – an adventure she embarked on with Robert Delaunay, who became her husband in 1910. Together they explored colour contrasts and the dissolution of form through light, which led them to abstraction. During the Great War she sought refuge in Spain and Portugal. In 1917 the October Revolution cut off her income from property in Russia and she began to sell her textile creations in Madrid, fulfilling a lifelong aim. She continued to experiment in this field in the early 1920s after returning to Paris, where she became an acclaimed fashion and fabric designer.